Schedule is Ready (Scroll Down). 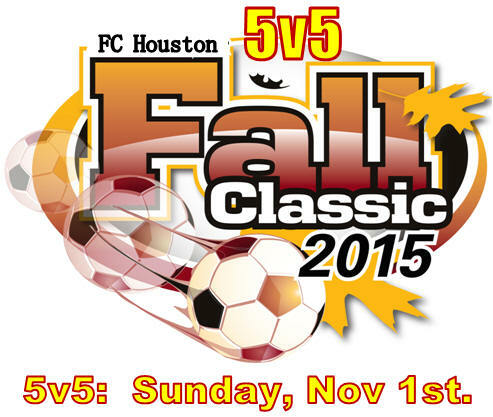 This tournament is FUTSAL format (5v5) to help develop all players their individual skills. Only a one day tournament. The games will be played in nice grass fields. -- Deadline to register a team is Monday, November 2, 2015. -- Schedules will be ready on Tuesday, November 3, 2015. Referee Fees: Each team must pay the referee fees "before" the game starts: $22 per team per game. Extra Time: In games where there has to be a winner, there will NOT be extra time. The winner will be determined by FIFA style penalty kicks (5 each). * Subs only when ball is not in play ith the referee's permission (from midfield). * Goal-kicks maybe taken any where with-in the circle area. * No goal kick can pass the half-line in the air. If so, an inderect free kick will be awarded at midfield to the other team. * Los saques de meta podran ser tomado de cualquier parte adentro del area grande. * El balon no puede ser sacado en el area despues de media cancha en el aire. Si es este el caso, un tiro libre indirecto en la media cancha sera otorgado.